The fast food chain announced on Monday that it will test a meal kit service from late August through mid-November. Customers can pick up the kit at 150 participating locations in Atlanta. The meals include chicken flatbread, crispy dijon chicken, chicken parmesan, chicken enchiladas and pan-roasted chicken. Chick-fil-A says the meals should take less than 30 minutes to prepare. "Restaurant chains are looking for creative ways to reach consumers outside of their restaurants," said R.J. Hottovy, a restaurant analyst for Morningstar. "Meal kits are an interesting solution." A meal kit could help Chick-fil-A test possible new menu items, Hottovy said. It could also allow Chick-fil-A to let customers handle more complicated meals rather than mass-producing them in its restaurants. The meals include sides such as kale salad and macaroni and cheese. Chick-fil-A "might not consider it efficient to cook those on demand because of the different pieces involved," said John Gordon, a restaurant analyst with Pacific Management Consulting Group. But during slow hours, Chick-fil-A employees could prepare the food for the kit, he said. Chick-fil-A's crispy dijon chicken meal. 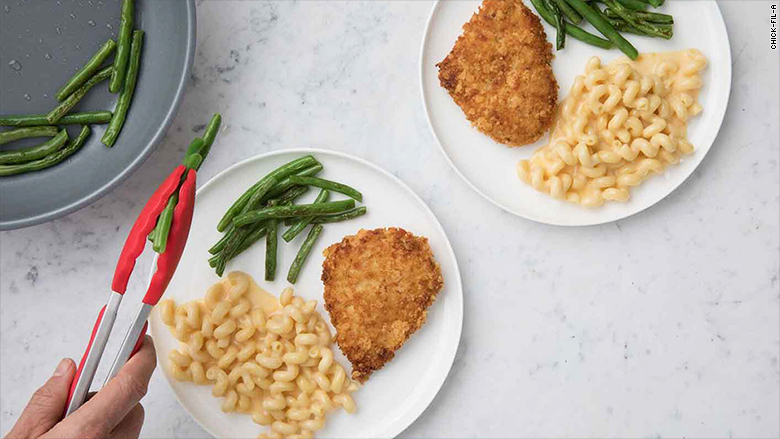 The company is hoping that customers will pick up the meal kit while they're already in the restaurant, Michael Patrick, who works on innovation for Chick-fil-A, said in a statement. Chick-fil-A is asking customers who don't live in Atlanta but are interested in the meal kit to reach out. But restaurant consultant Aaron Allen thinks it's unlikely Chick-fil-A will roll the kits out nationally. Instead, he sees the effort as a publicity stunt. "It kind of feels a little bit like IHOB," Allen said, referring to IHOP's temporary name change. By experimenting with a meal kit service, he said, Chick-fil-A is tapping into a trend. He doesn't think it makes sense for Chick-fil-A, which is known for fast, friendly service and simple food, to bet on more complicated meals prepared at home. Austin Wright, who works on strategy for the advertising agency Ansira, thinks the experiment is too much work to be just a marketing scheme. "This is an attempt for them to increase the average ticket size," Wright said. "People can only buy so many chicken sandwiches." The kits cost $15.89 and serve two people. Chick-fil-A said it's the first quick-service restaurant to launch a meal kit service. 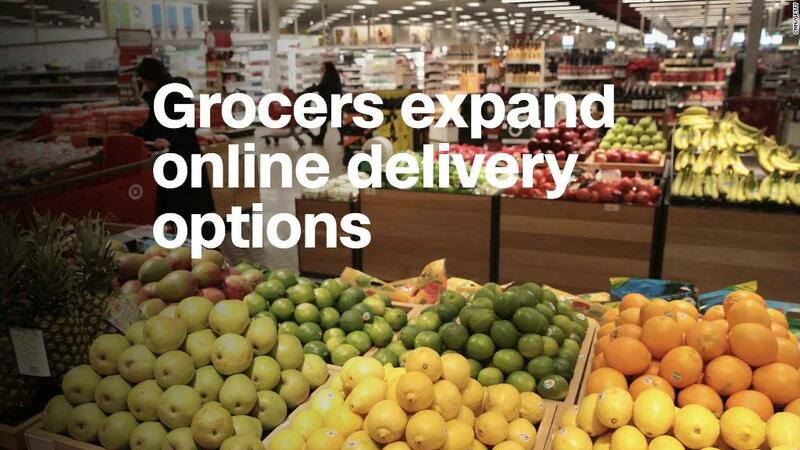 But other big companies, like Walmart (WMT) and Kroger (KR), are testing out their own. Blue Apron (APRN), the popular meal delivery service that went public last year, is struggling. Shares of the company are down about 21% this year.